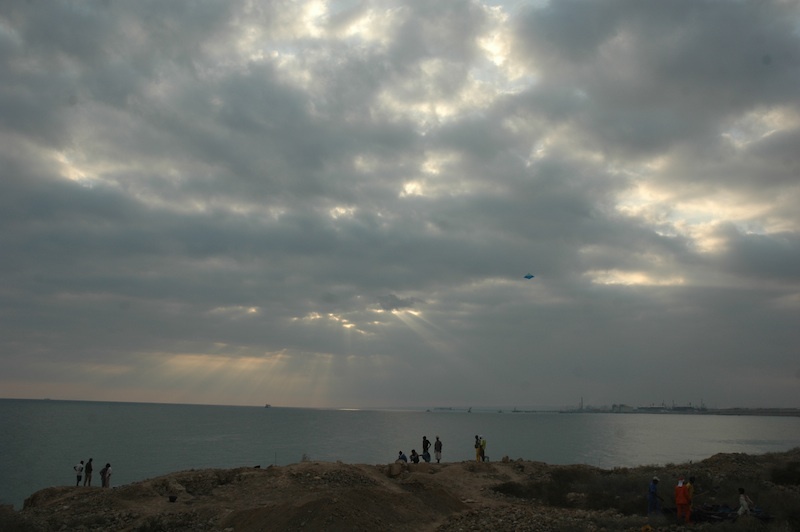 The Qalhât Project’s second fieldwork season took place from November 11 to December 16, 2009. 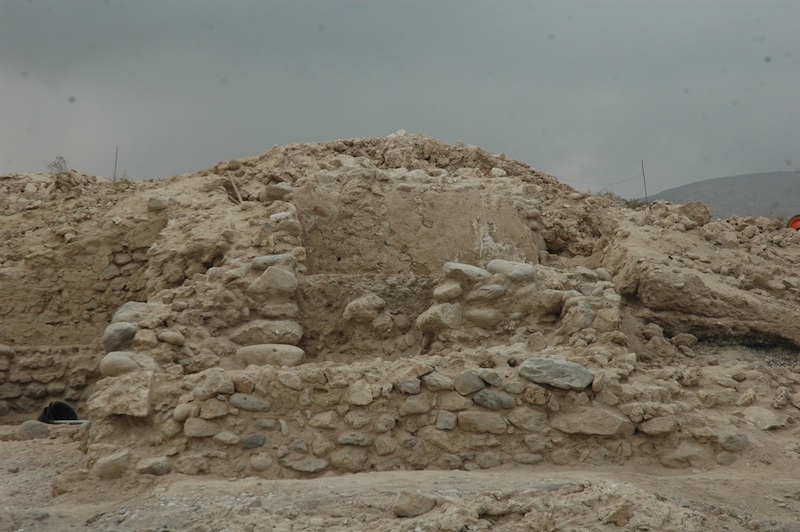 This project is joint funded by the Ministry of Heritage and Culture of the Sultanate of Oman, the French Ministry for Foreign Affairs and the CNRS, and is directed by Axelle Rougeulle (CNRS – UMR 8167). The team was comprised of eight people, one of whom is a member of Éveha and whose participation was funded by the company as part of a collaborative research project with the CNRS. During this second season of participation by a member of Éveha in the Qalhât Project, a number of areas of the town were explored. In the north-eastern area, walk-over survey and especially aerial photography led to the identification of a number of large buildings on both sides of a long street. Several trenches were opened within these buildings. The aim was to evaluate the extent of the preserved remains, and also to determine the function and date of these structures. Understanding their relationship with neighbouring developments was also an important part of the project. The mass of crumbling stones heavily restricted the possibility of investigating these buildings. Nevertheless, it appears that the two buildings explored were houses – at least in part (a reception room was identified in one of them). Two main phases of construction were distinguished in one of the ensembles. 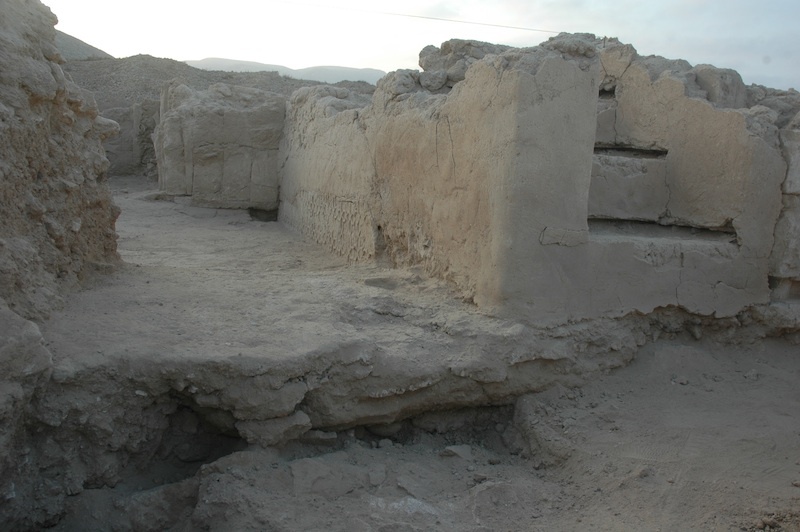 A first building was erected on top of the substrate, which was visible the surface in this area at that time. The road level then rose by almost 1.5 metres during this first phase of occupation. The original building was then destroyed or levelled, and its interior filled with almost 2 metres of collapsed material. A second building was constructed on this level, probably adopting a similar layout. Preliminary analysis of the material indicates that phase I dates from no earlier than the end of the 13th century or the beginning of the 14th. Within in the supposed limits of the “old town”, another house was explored. Three occupation phases could be discerned in the two trenches that were dug. Again, no early phase was identified here, with the oldest evidence (which was placed directly on the substrate) dating to the 14th century. A large part of the season was dedicated to studying the mosque discovered the year before. 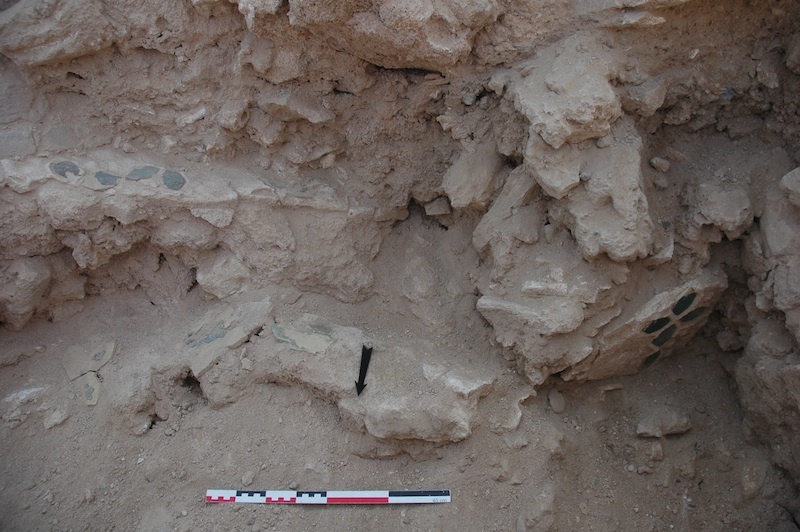 The large surface area of this building (estimated to be almost 600 metres² at the beginning of the excavation) but especially the quality and fragility of the remains found last year led to a decision not to undertake the complete excavation of the structure. A number of targeted explorations were therefore carried out. The first of these involved the excavation of the corners of the building. It is now possible to envisage an edifice approximately 27 metres large and 25.5 metres long on its exterior. Various monumental annexes are associated with the north-east corner of the building (in particular the lower parts of the minaret). A number of secondary rooms whose function has not yet been determined are attached to the north-west corner. 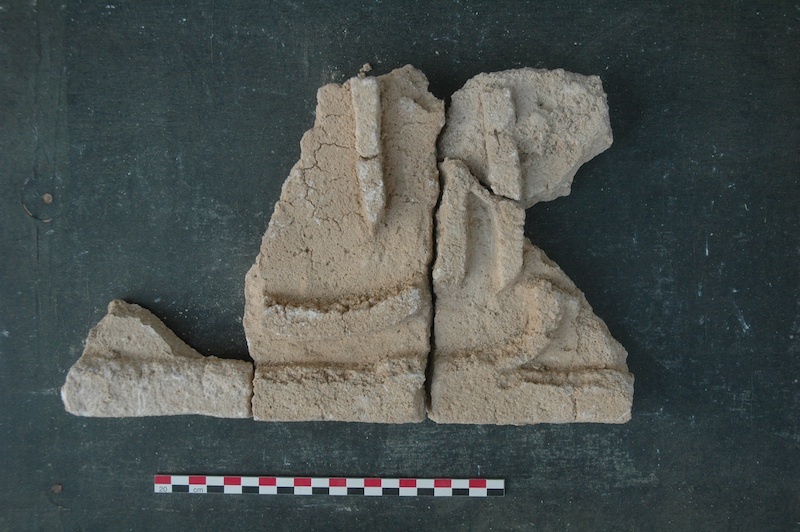 The base of an internal pillar had been identified the previous year. A second construction of the same type was uncovered during this season. This indicates that the building had five naves, whereas the Portuguese accounts claimed it had seven. These pillars were built on top of a wall. Finally, a large trench running from the façade wall (east) to the qibla wall (west) was dug in the central nave. The aim of this trench was to identify the remains of any possible earlier mosques on the site. 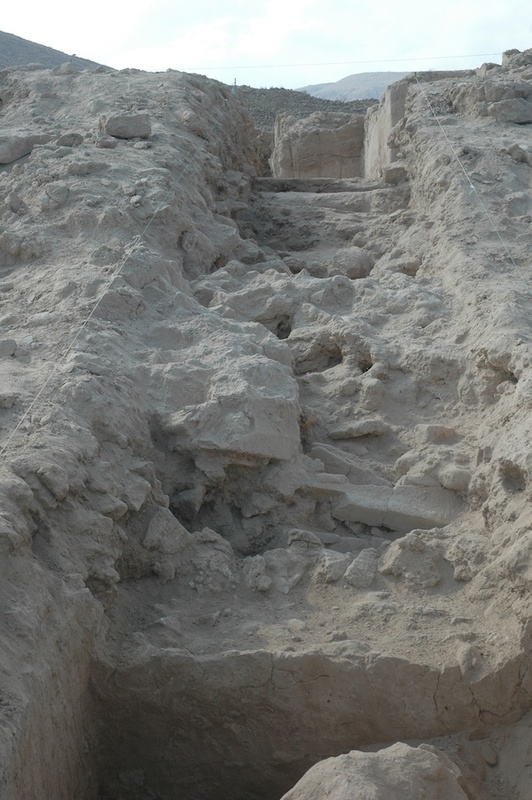 This trench revealed structures which indicate that the mosque was built on a complex system of foundations. Five walls oriented north-south were found, which acted as the foundations for the internal supports of the mosque. A number of other load-bearing walls were associated with these. While in the western part the last two rows of foundations were completely filled in with a homogeneous sediment, the four easterly rows appear to have contained rooms. Their function is not yet known. The various fragments of masonry and elements of decoration enable us to reconstruct what the building looked like in elevation. Both the load-bearing elements and the arches and stonework placed on top of them were richly decorated, as was the qibla wall. The mihrab had an unusual decoration, incorporating stucco and reused ceramic tiles, as well as large inscriptions and decorative architectural elements during its latest phase. Indeed, two phases of the mihrab could be distinguished, and the minbar and its decoration also showed signs of renovation or modification. During the previous season, two successive mosques had been identified. The interpretation had been that the glazed tile decoration at the base of the qibla wall had come from an earlier monument, whose external wall, preserved to a height of 1.5 metres, was visible in the trench dug below the walls of the second mosque. This hypothesis proved unfounded, though two buildings did exist. The second mosque kept the same layout as the first, which was partially rebuilt or possibly simply restored in this second phase. Analysis of the artefacts indicates that the first mosque was built in the early 14th century and probably corresponds to the sanctuary constructed in about 1300 by Bibi Maryam, the wife of Qalhât’s governor. The second mosque, which appears to have been built at the beginning of the 15th century, was destroyed by the Portuguese in 1508.